Max Brown attacks the Magpies Crusaders! 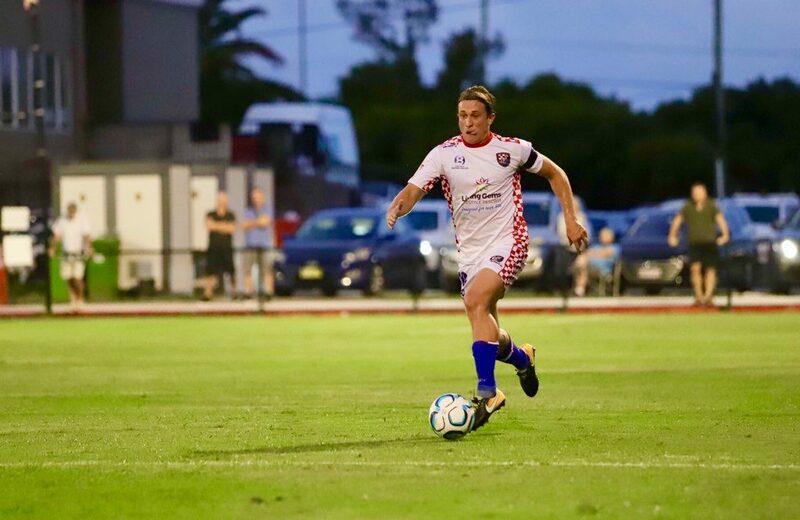 Gold Coast Knights began the 2019 NPL campaign with a frustrating 1-1 draw against Mackay based Magpies Crusaders United FC on Saturday night in front of a solid opening day crowd at the Croatian Sports Centre. The home side were full of confidence early, with a number of chances in the opening exchanges falling at the feet of Nicholas Panetta and Sam Smith, only to be blocked by the visitors. 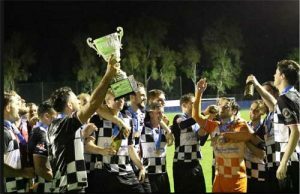 The Magpies had a golden opportunity in the 18thminute when a ball slipped through the Knights defence, but goalkeeper Joshua Langdon was aware of the danger and cut the ball off before the incoming striker had a chance to get a toe to the ball. However, it would be the Magpies who open the scoring, after they caught Langdon off his line and chipped the ball into the back of the net to take a surprise 1-0 lead away from home. Knights continued to press towards the end of the first half and were rewarded for their efforts, with new signing Adam Endean netting his first goal for the club from outside the box into the bottom right hand corner. The second half proved much of the same, with Knights continuing to hold majority of the possession throughout the game, moving the ball from left to right and trying to penetrate the deep Magpies line. Oskar Dillon plays the ball into the box! 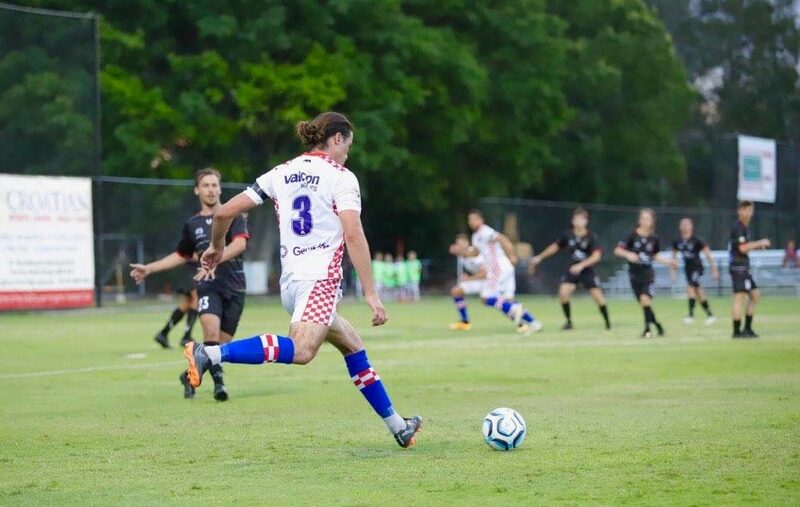 The first dangerous opportunity for the Knights came in the 70thminute mark, when a set piece opportunity came to the trailing Roman Hofmann who fired his shot into the woodwork from a long-range effort. The best chance of the half came in the 78thminute when a ball coming across goal sat perfectly for Panetta to put the Knights in the lead, but the ball was miscued away from goal. 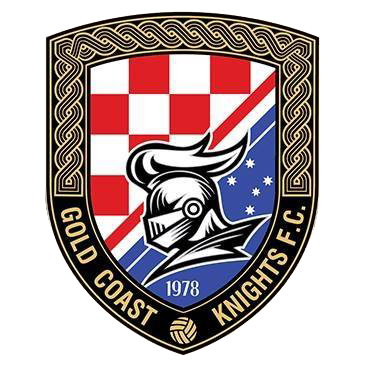 Knights continued to press for the full 90 minutes, putting dangerous balls into the box and had a late handball shout to end the game which was waved off by the referee. Coach Grae Piddick praised his side on controlling the match for the full 90 minutes. When asked about the adjustment for majority of the squad from the local Premier League into NPL, Piddick identified that their could have been some early nerves. The Knights now face a second round test when they travel to Ipswich to take on Western Pride next Saturday. Magpies: Wright, Jansen, Shipton, Walters, Haspels, Hermann, Pace-Ruggeri, Connor, Burgess, Kennell, Searle.